I am not as historically in tune to French politics as I am with Tudor politics. 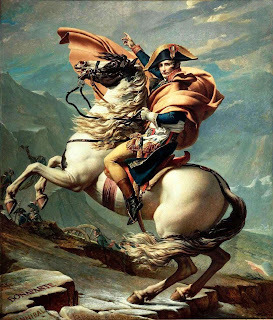 With Catherine Delors' newest novel that is focused on French politics, there is no preamble to the upheaval that France is facing after the pacification set in place by Bonaparte. The French Revolution had just ended and the novel begins in 1800 with a police officer called Roch Miguel who is investigating a bombing on the streets of Paris that was a failed assassination attempt on Napoleon Bonaparte. There were several police agencies or ministries that were at odds with each other who were slightly hard to follow; along with who was Royalist, Jacobin or Chouan. If I had previously read a novel that dealt with the Republic and the aftermath of the French revolution I would probably have felt a bit less lost, but the writing of Catherine Delors pulled me through the story itself very quickly. Written to be a historical mystery, the focus of the story is the investigation of the bombing in the Rue Nicaise. Roch, the investigator, is the main protagonist and is portrayed as a strong man with morals, and gets put in a bad situation when his father, affectionately known as Old Miguel, is suddenly arrested. Was he arrested to spur Roch's investigation in another direction? Between the several different factions of the police government it is hard to tell if Roch should trust anyone in the fearsome political times. And he has to move fast otherwise his father will meet a torturous fate meant for traitors. 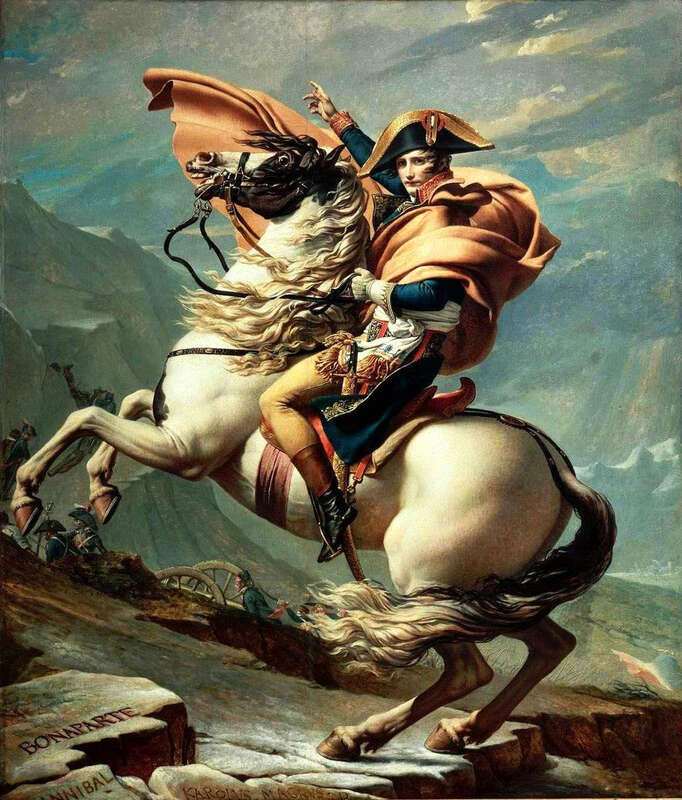 One of the mentions in the novel is of a painter known as Jaques Louis David, who painted the famous portrait of Napoleon on the magnificent white horse. I loved how Delors included these small details of history into her novel which helped me experience France and their culture more than I ever have. And I took five years of French! Catherine Delors helped to reawaken in me the spirit of France for which I had fallen in love with long ago as a child. She surrounds the novel in historic details that really help shape the atmosphere and the turmoil of France at that time. 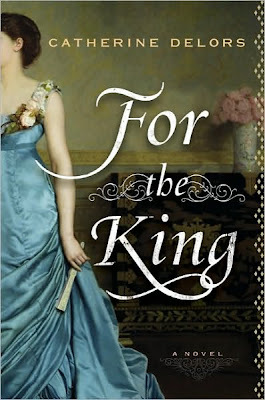 Catherine Delors' previous novel, Mistress of the Revolution (2008), was written in memoir fashion telling of a Frenchwoman exiled in England. For The King departs from that point of view as it is told in third person allowing for multiple views to be presented. Using this narrative allows the reader to get an entire circumspective view from all parties involved which is very helpful in this thriller/mystery setting. It also helps to lend a greater understanding of a complicated period of time that could easily befuddle the unaware reader, like I was at first. I found the story to be fast paced and I felt empathy for the character of the investigator Roch Miguel, and Delors was subtle with the added romantic undercurrents that we are treated to. Some of the other characters shifted over time, becoming more ominous as the story wore on and the mystery of who was behind the attack unfolded. Although the reader knows the names of the three who are responsible for the attack from the very beginning, the unfolding of the multiple aspects that lead to the attack and their hopeful apprehension was expertly presented. Lovers of France and those eager to immerse themselves in its historic setting following the revolution will definitely love this book. I love the fact that Delors is focusing her next novel on another mystery setting and I will definitely be reading that one as well.